It turned out to be an interesting contest for the gold medal between former World champion, Manavjit Sandhu and president of the National Rifle Association of India, Raninder Singh at the 60th National Shotgun Championship, being held in Jaipur. Raninder shot strongly in the gold medal match of the Men’s Trap but missed the 8th and 12th target which gave a chance to Manavjit to add another national title to his name. The four-time Olympian from Punjab won the contest 14-13. Raninder who represented Odisha however defended his silver medal won in the last edition at the same venue. Manavjit was not very impressive in the qualification phase by his own standard as he registered a score of 117 (23,24,23,23,24). However the score was good enough for him to make it in the top six. Manavjit then shot 12 out of 15 targets in the semi-final stage to make it to the gold medal match. Raninder shot 116 (25,20,23,25) to qualify for the top six and shot 12 in the semifinals. Kynan Chenai of Telengana, who represented India at the Rio Olympics, bagged the bronze medal beating Adhiraj Singh Rathore of Rajasthan 14-12. In the qualification Kynan also shot 117 as much as Manavjit with rounds of 21,25,24,23 and 24. 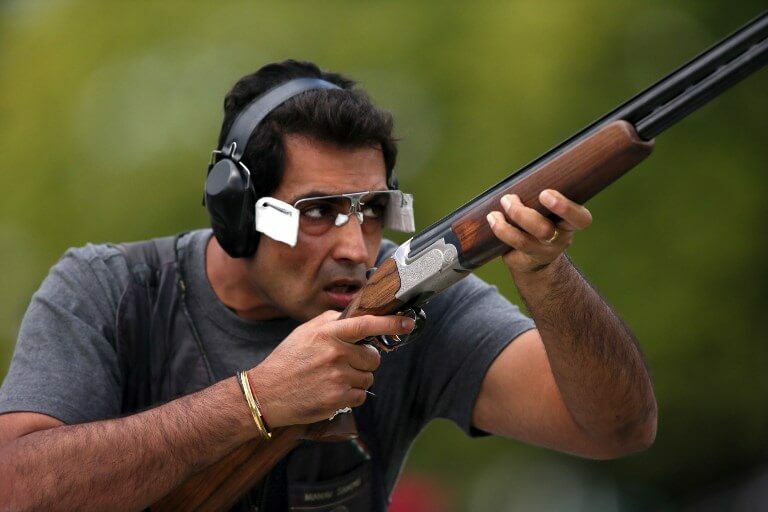 Zoravar Singh Sandhu (121) and Birendeep Sodhi (118), did well in the qualification, failed to progress to the medal rounds, after both lost the shoot-off for the bronze medal match, after being tied on 10 with Kynan and Adhiraj. In the junior section, Lakshay Sheoran claimed the gold, as he beat Manavaditya Rathore, in the shoot-off after the two were tied on 13 in the gold match. Akash Saharan, who missed the gold match by one point, clinched the bronze by outclassing Vibhu Sharma 13-9. Men’s Trap: 1. Manavjit Sandhu 14 (12) 117; 2. 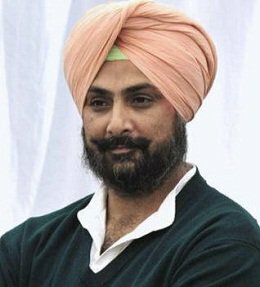 Raninder Singh 13 (12) 116(2); 3. Kynan Chenai 14 (10)4 (117); 4. Adhiraj Singh Rathore 12 (10)4 (117). Team: 1. Air India 345, 2. Rajasthan 339, 3. Punjab 334. Junior Men’s Trap: 1. Lakshay Sheoran 13 (12) 110; 2. Manavaditya Rathore 13 (12) 112; 3. Akash Saharan 13 (11) 109; 4. Vibhu Sharma 9 (9) 109. Team: 1. Rajasthan 327; 2. Haryana 306, 3. Madhya Pradesh 305.